Well, all the excitement of Sale-a-bration is fading and I'm now enjoying going back to the Annual and Spring/Summer catalogues to use some of the sets that have been a little neglected of late. 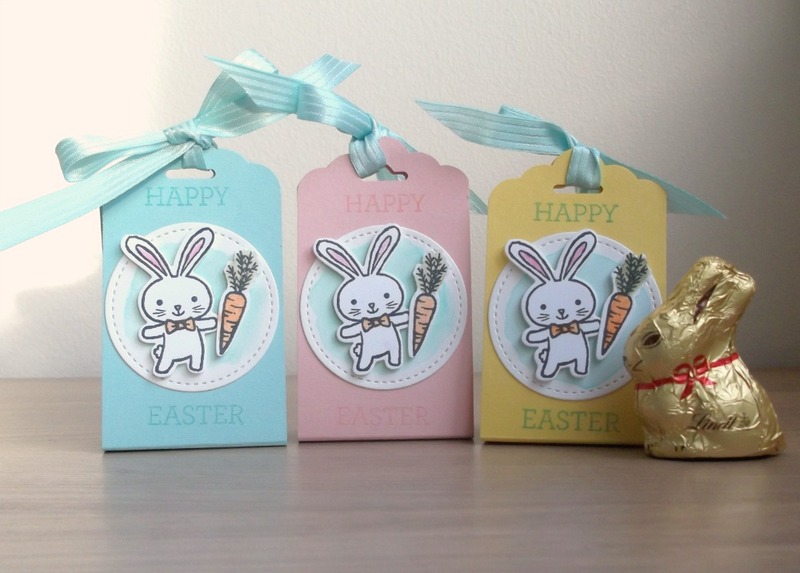 Today I have a video tutorial showing you how easy it is to make these little Easter treat holders using the Basket Bunch stamp set and framelit dies. Each one of these holds one of the little Lindt bunnies you can see in the picture. If you enjoyed this project either here on on my You Tube channel, I'd be delighted to have you as a subscriber/follower. If you would like to order any of the products I have used today, just click on the links below and you'll be taken straight through to my online shop. Or get in touch by phone or email. Don't forget to use this month's shopping code: 9YHNTNPW when you order so that I can send you a little thank you package next month!